When the Jordan Brand promised to give a lot of treats to their consumers for this year, everyone expected that the famous shoeline will come up with a lot of surprise, and the new colourway of the Jordan 6-17-23 is absolutely one of those treats. 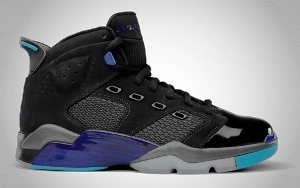 The Jordan Brand applied a huge make over to one of their most famous hybrid shoe and the Black/Concord-Dark Grey-Orion Blue colourway is already making waves in the market. Dubbed as the “Aqua” edition, the new Jordan 6-17-23 is arguably the best among the colourways and the hits that it is getting right now isn’t surprising. So what are you waiting for? Grab one now and we can assure that you will never regret your decision!